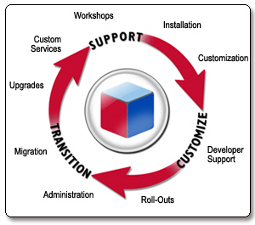 Evolution Systems are proud to offer a CRM consulting and development service. We recognise how important customer relationships are to all businesses and we work with the SugarCRM Open Source CRM platform to deliver a solution tailored specifically for you and your customers. We are able to customise SugarCRM based on your specific requirements and have experience writing highly customised modules tailoerd to our clients needs. We can work with you from conception through to the fully finished CRM to ensure your workforce has a fully functional package that can help increase your efficiency and profits. If you are interested in seeing what one of our customised CRM solutions can offer your company, contact us now for a free consultation.